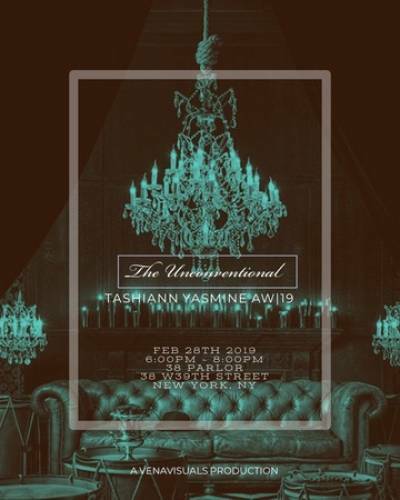 TASHIANN YASMINE began her designing career as an accessory designer with the brand 'Girl Strike' which aims to uplift and empower the female community and push for self-love and uniqueness. Since then, she has created the self-titled brand TASHIANN YASMINE, which uses metals and non-fabric pieces to serve as a suit of armor for fearless woman. When women wear TASHIANN YASMINE, it is a cloak of confidence, self-love, and authenticity that allows them to boldly maneuver through the world. VENAVISUALS is a production agency specializing in photography, music videos, NYFW runway shows + presentations, to curate storytelling ideas for upcoming and aspiring designers, models, and artists.